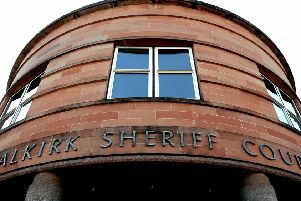 At Falkirk Sheriff Court last Thursday, sentence was delayed on man who had previously admitted being concerned in the supply of cannabis. Kevin McIntosh, from 13 Wallace Court, Grangemouth, was caught with £1500 worth of the Class B drug in January and had sentence deferred for reports. Sheriff Caldwell said reports indicated McIntosh was involved in a “commercial enterprise”, but defence lawyer Lynn Swan said that was not her understanding and that the 37-year-old was only “supplying friends”. She said he was “using heavily” because of mental health issues and bought the drugs using money he had been given at Christmas and saved from his benefits. The sheriff called for a proof of mitigation hearing to be held on May 31 and continued McIntosh’s bail.